A stunning and huge converted watermill, right on the river, that sleeps eight people. 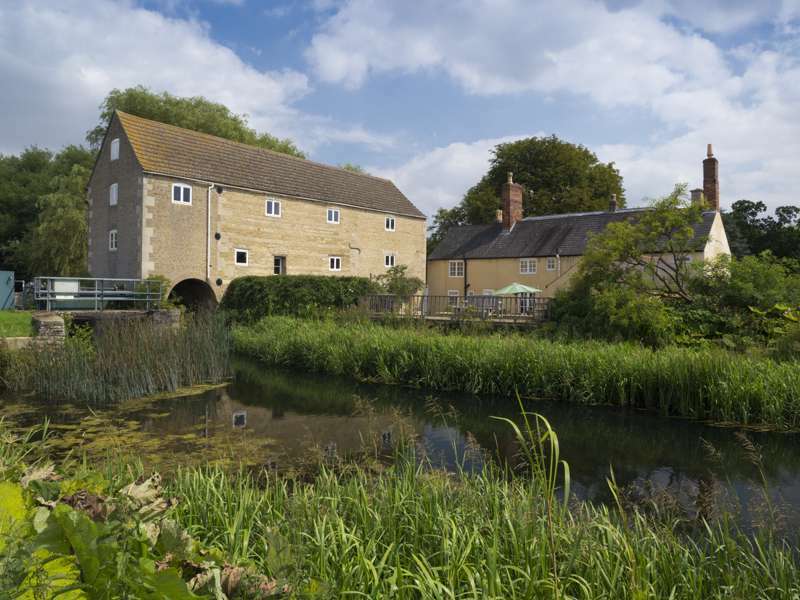 A former grain mill situated on the banks of the river Glen, just a few miles northeast of the elegant market town of Stamford in Lincolnshire, Fletland Mill is a very special property – and a large one too, with space to comfortably sleep up to eight people. Recently sensitively and beautifully renovated by Andrew Bothamley, it cuts a rather imposing figure on the riverbank – a mid-eighteenth century building originally but with accommodation inside that is not only bang up-to-date but also offers something of a wow factor, with a vast living space that offers a total of four beautifully appointed and very spacious bedrooms (three doubles and one twin). Two bedrooms have en-suite facilities while two other have their own loos and share a large and luxurious family bathroom with roll-top bath. One of the en-suite bedrooms is on the ground floor bedroom and would be ideal for people with limited mobility. There are two large and very comfortable living rooms and a lovely large kitchen, and overall the feel is of no-expense-spared in the conversion of a very special building: the constant and gentle sound of running water completes what is a very soothing rural scene, while the fact that it's dog-friendly is an extra bonus in a spot where you are spoilt for choice for walks you can do from your front door. Outside there's a barbecue for summer evenings, and a verandah to make your country house fantasy complete. All in all, a beautiful watermill conversion in a fabulous location – we love it! Sleeps eight in four bedrooms – three doubles and one twin. One-week stays from £730 to £1250, depending on the time of year. From the A1 take the A606 into Stamford, form where you take the A1175 east towards Market Deeping. From here take the A15 north for about 3 miles until you reach Baston, where you will find the watermill.